Beach house living has got to be one of the greatest pleasures in life. With the sand, sun, and surf…good friends, good music, and great food what more could you want, right? One of the best advantages to spending time at your beach house is the surroundings. 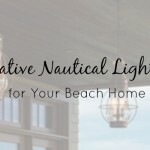 When the sun is shining and there is a cool breeze coming off of the water, there is nowhere you’d rather be than relaxing at your beach house. 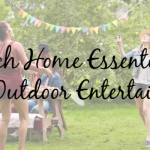 We’ve talked at great length about indoor décor, now it’s time to move the party outside and enjoy some of that fresh sea air. We’ve scoured our resources and put together some incredible outdoor cocktail table ideas that will dazzle even the most particular guests. Let’s take a look. Our first ingenious idea comes to us from simplebites.net. 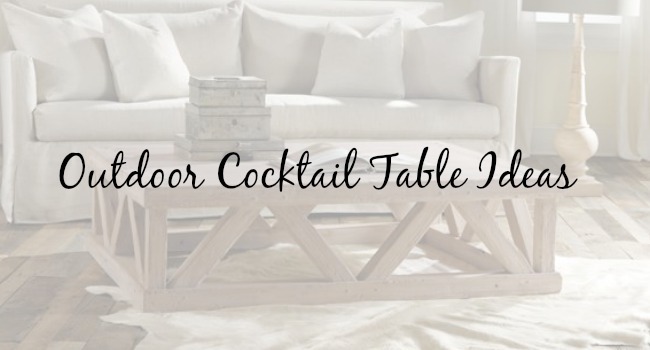 Transform an ordinary canoe into an extraordinary cocktail table by simply adding a few strategically located boards. You’ll need to be creative when it comes to finding a way to balance the canoe; in the blog post the writer’s husband used hay bales and a lot of ingenuity. 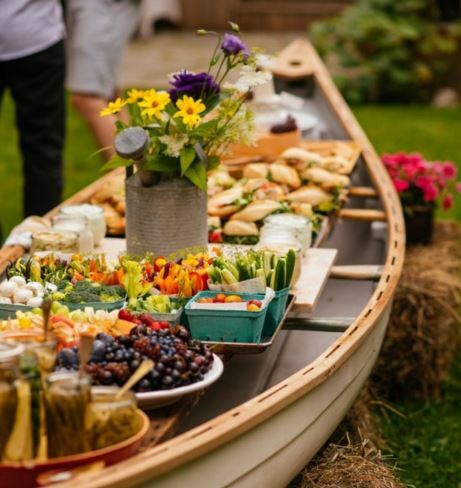 Once the canoe is stabilized and the boards are placed lengthwise down the middle, you can begin to add your trays of delectable delights for your guests to enjoy. Don’t forget to add a few decorative pieces to spruce things up a bit. If your cocktail party is going to be a bit more formal, you may want to consider our next find from stylemepretty.com. This design was originally for a wedding but can be adapted for any type of cocktail party by choosing a less formal table covering. The simplicity of this design is what makes it so charming. You can also use this same design format with different fabrics to create completely new looks without having to purchase brand new tables. This next table is actually part of our very own Cottage & Bungalow collection and is usually placed in a living or sitting area inside the beach house. 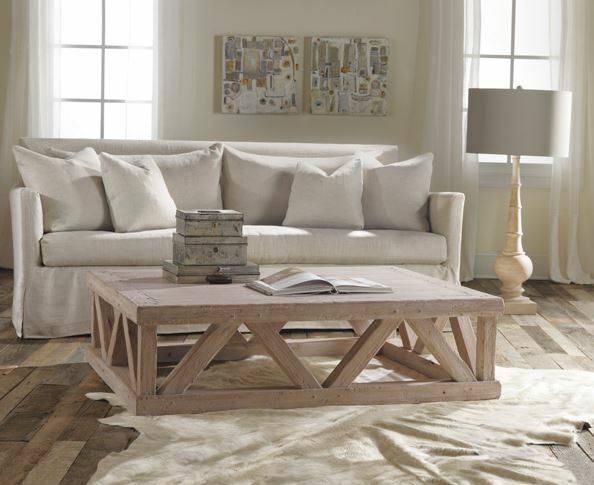 We suggest taking this amazing piece and moving it outside for a casual, traditional chic look. Guests will love gathering around this beautiful rectangular table and enjoying food, laughter and memories shared. These tables are hand-crafted by our elite artisans who understand that when it comes to our products, only the best will do. Did you ever wonder what happens to all of those barrels they use to age wine? Well wonder no more. 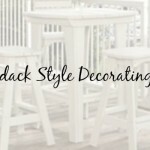 Now you can purchase similar barrels and use them to create amazing furniture pieces like the cocktail tables pictured here from indulgy.com. 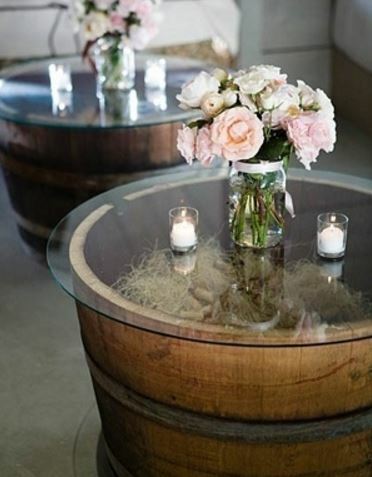 We love this idea because it’s rustic yet sophisticated. You can dress it up or dress it down depending on the occasion and the whole ensemble is completely reusable. 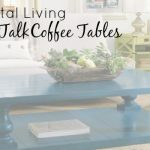 You could even use these tables as end tables if you were really creative. Lastly, we bring you the concept of undertable lighting we found on Pinterest. 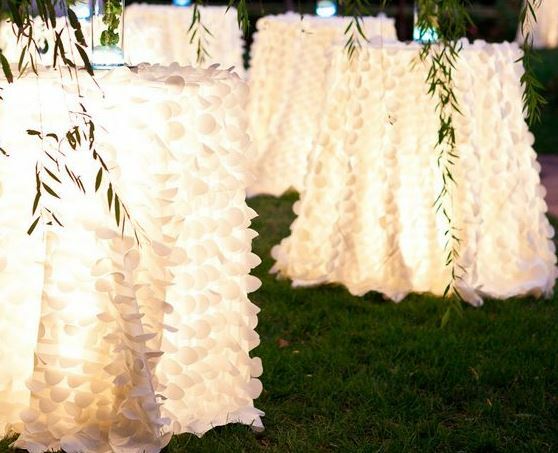 We thought this was a fascinating design technique, especially if you are planning an evening cocktail party. How stunning is this? And not only does this type of lighting provide light for the guests at the table, it actually helps to illuminate the entire area. This is one idea you are definitely going to want to share with your friends! As always, we can’t wait to hear what you have to say about the design ideas presented in today’s post. 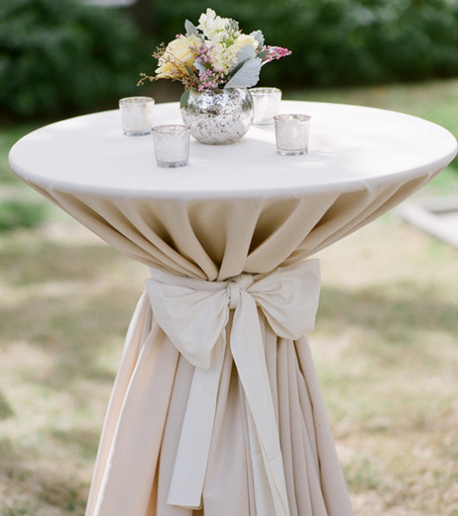 Let us know in the comments which outdoor cocktail table idea was your favorite.